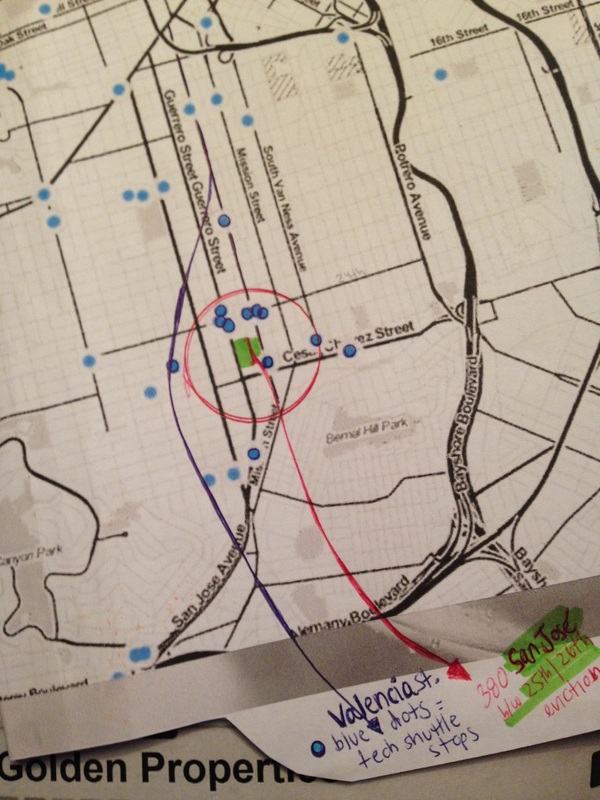 Map used in Home/Studio: Eviction Scene Investigation. The blue dots are tech shuttle stops. The green patch is Yolanda’s block. From a warfare point of view, she stood surrounded by eviction forces.